A day after Sarasota County Administrator Tom Harmer sent a letter to City Manager Tom Barwin saying the county was removing disputed city-owned parcels from its current fire-rescue assessments list, Deputy City Attorney Mike Connolly told The Sarasota News Leader he did not know whether the City Commission would reverse its Oct. 19 vote to file a lawsuit against the county. Barwin had shared the communication with the city board members, Connolly added. City Commissioner Shelli Freeland Eddie told the News Leader on Oct. 27 she had just seen Harmer’s letter earlier that day. 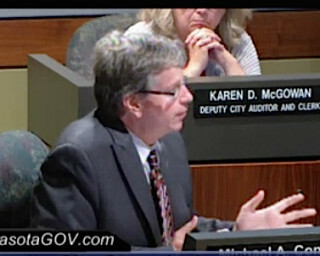 Her particular concern, she said, is whether county staff still ultimately wants to assess the city-owned properties at the heart of the dispute. “This leaves some question as to whether this is just a delay of the inevitable or a change in policy,” Eddie added. She would like to see a final resolution of the matter, she continued, so the city will not have to revisit fire-rescue assessments every year. In the Oct. 26 letter — which was emailed to Barwin late in the afternoon of that day, county spokesman Jason Bartolone told the News Leader — Harmer wrote that the county plans to complete an update of its Fire Assessment Program this fiscal year. “This allows the time for the County and City staff to communicate and work through any questions regarding the program,” he added. However, Harmer affirmed his confidence in the validity of the assessments and indicated additional city-owned properties would be facing fire-rescue fees next year. The only mention of the matter during the County Commission’s Oct. 27 regular meeting in Sarasota came during Harmer’s routine report to the board. He said he had made the county commissioners aware of the latest action the previous day. 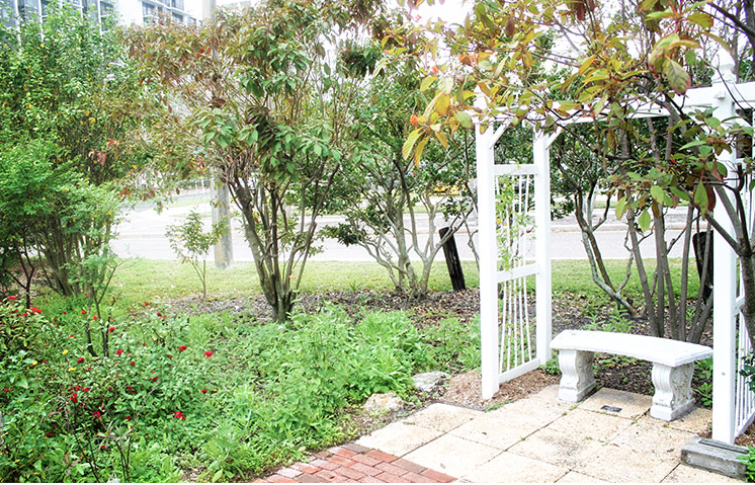 Among the parcels the county planned to assess are the three that comprise Mote Marine and those occupied by the Sarasota Orchestra, the Sarasota Garden Club and Art Center Sarasota. According to Sarasota News Leader calculations, the total amount of the fire-rescue assessments for the 13 parcels would be close to $40,000. After Connolly and John Herin Jr. of the GrayRobinson law firm in Fort Lauderdale protested the assessments during the County Commission’s Sept. 14 public hearing on its 2016 fiscal year budget, the county removed three parcels from the assessments list: the bayfront site of the former G.WIZ science museum, the Bee Ridge Road location of the city’s water tower and the city’s Verna well field. 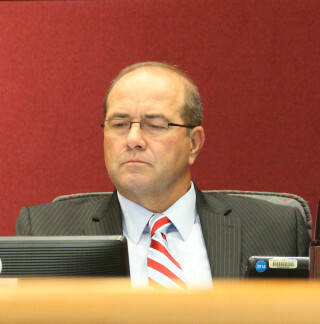 Connolly won unanimous City Commission approval on Oct. 19 to proceed with a lawsuit, after he voiced concern not only about the current assessments but also about the possibility the county might begin levying ad valorem taxes on city-owned property. He explained that county staff differentiated between government-owned parcels and “government use” property in asserting that the fire-rescue assessments are legal, a fact Herin has disputed, citing case law. Nine of the city-owned parcels for which the city received Truth in Millage (TRIM) notices in August are leased to nonprofit organizations. The City Attorney’s Office hired GrayRobinson to assist with the lawsuit because of its expertise on assessments, Connolly told the city board on Oct. 19. 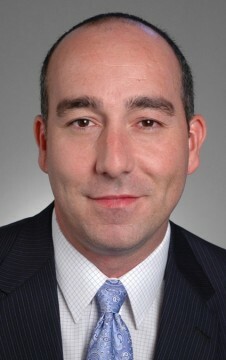 The firm recently won such a case for the City of Coral Springs, he added. In an Oct. 26 memo to the County Commission that accompanied the letter, Harmer explained the background of the Fire Assessment Program, noting that the county implemented it in 1996 and then followed through with a “high-level update” in 2003. Of the 300,000 pieces of property within the county, he continued, about 176,000 are in the area benefited by the fire-rescue assessments. The funds pay for “primary fire services,” he added. While county staff can handle some of that work, he added, the rest of it will be undertaken through “a third party review that is being initiated. The end result would include a validated roll prior to next year’s billing cycle.” He continued, “This work would occur between now and the June [County Commission] budget workshops” in preparation for the 2017 fiscal year budget. Assistant County Administrator Steve Botelho — who also heads up the county’s Office of Financial Management — will coordinate that process, as well as a review of the county’s other major assessment programs, to ensure they are up-to-date, Harmer wrote. Harmer also noted his desire for transparency. Editor’s note: City Editor Roger Drouin contributed to this article.